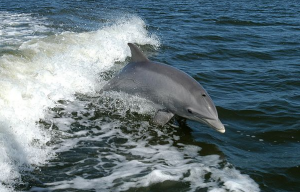 DolphIns keep warm because of a layer of Blubber, also called FaT, under The skIn. In contrast, to stay warm, human beIngs have warm foods lIke gInger, blankeTs, Wood Fires, and each oTher! InTeresTIngly, The Bones ThaT make up a DolphIn’s skeLeTon, are Filled wITh FaT and Oil, causIng TheIr bones To be boyoanT gIvIng Them an easIer Time To FLoaT. That is so cool! They move approxImaTely 10-15 km per hr Through The waTer. Q – What is it that causes a Dolphin to have boyount bones? That is, what elements cause their bones to be this way? WHat other sea mammals have boyount bones? How does Rudolph’s Nose Light Up? Teacher Certification Study guides, exam information and practice tests for certification in all 50 States.